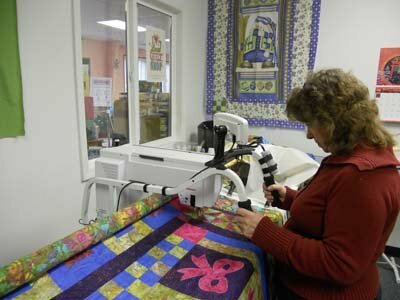 Ann Barnhill and the QSE staff have many years' experience in sewing and quilting and will be happy to help you with your special projects. special materials. If you wish, we’ll provide the rest. For that special event gift that will become a cherished family heirloom. We’ll design and actually finish these quilts from what-ever stage you wish. We will order and put together craft kits for your hobby group. These are designed for family groups or for one-on-one instruction. Classes can range from beginner to advanced levels and hours of participation can vary. These special services are available on an as quoted basis. the size and complexity of the work, and the urgency assigned to it. For further information, please give Ann Barnhill a call at 864 649 1313.